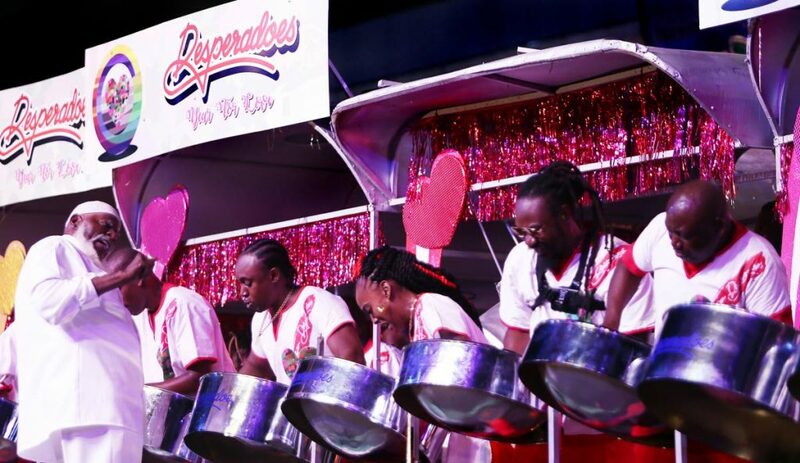 Laventille’s pride Desperadoes Steel Orchestra will play Nailah Blackman’s Iron Love for this year’s Panorama. This was confirmed on Thursday evening, during one of the band’s rehearsal sessions at the old government printery compound, Tragarete Road, Port of Spain. The song, which features the Laventille Riddim Section, is essentially a modified version of her late grandfather Ras Shorty I’s Iron Man but offers a play on the words, I on love. The song also laments crime and bitterness in the world, accentuating love and positivity. A visibly elated Blackman was on hand to hear the announcement and mingled with players at the panyard. Desperadoes’ captain Adrian Glasgow had earlier told Sunday Newsday the 73 year old band, which placed third in last year’s competition with Voice’s (Aaron St Louis) Year For Love, had six songs from which to choose for the prestigious competition, all of which have been ripping up the airwaves. Apart from Iron Love, they also considered Farmer Nappy’s (Darryl Henry) Hookin Meh, Nadia Batson’s So Long and others. For veteran arranger Carlton “Zanda” Alexander, Iron Love gave him an opportunity to reconnect with the music of yesteryear – a period in which, he said, much attention was paid to the messages and nuances in songs. “When I heard the song, I thought it was put together in a very interesting way because there was a song done by her (Nailah’s) grandfather and it is a good continuation of what he did. I am happy to know that it came from somebody whose roots I knew,” Alexander said. He felt Iron Love, though ideally structured, also provided opportunities to explore his creativity. Asked if he felt the 11-time Panorama champions, which has been sponsored by West Indian Tobacco Co Ltd (Witco) for the past 54 years, could secure victory number 12 in this year’s competition, Alexander would only venture: “We are going in the name of the Creator and may God give us the blessing." Glasgow, who became captain just two months ago, was confident. “When I want to go at something, I going at it to claim victory. And based on the vibes that going on now, I have that confidence that we would claim victory again,” he said. 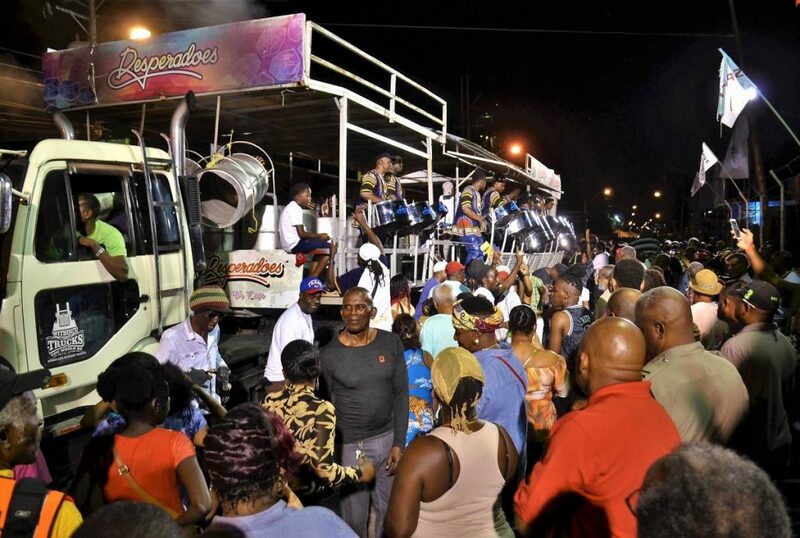 And while excitement is high in the Despers camp, Glasgow lamented the legendary band, which was expected to return to its revered home at Upper Laventille Road, Laventille, before last year’s Carnival, may not do so anytime soon. Despers’ panyard was given temporary accomodation at the old government printery compound last year. Previously, the band's panyard was housed at the former site of the Greyfairs Church of Scotland on Frederick Street, Port of Spain and at the National Insurance Board carpark, corner Cadiz Street and Queen’s Park East, Belmont. “I can’t say if the band going back up or not. It is up to the band to make the decision,” said Glasgow. According to Glasgow, several factors have contributed to the band’s decision to stay away from its home base. He said the reconstructed panyard at Upper Laventille Road still cannot accommodate the band at its full strength of 150 players for rehearsals and other events. The one-storey structure was to be used for practice sessions and the hosting of major Carnival events. Glasgow said manoeuvring the pan racks to and from the band’s headquarters also remains a challenge. The captain said the problem was compounded by the narrow roadway to the headquarters. “It have so many cars in Laventille right now, is a problem for the racks to pass. Long time, as a young boy, I used to sit by my window and see the band coming down with the racks. At that time it did not have so many cars on the road. Glasgow said crime, which was largely responsible for Desperadoes’ decision to leave its panyard in 2011, was still a major concern. He said: “It come a stage where our players do not want to go up to the Hill anymore because they studying when they leaving the panyard to come down the road, is all kinds of obstacles. On such casualty of the crime was Atiba Pantin, 25, of Tesheira Street, Diego Martin, who was shot dead at the panyard on January 11, 2015,while moving pan racks along with four men. The man had been hired by Despers to carry steelpans from the Hill to Belmont. Glasgow said many of the band’s players, who lived out of the area, also did not want to venture up the Hill for rehearsals. 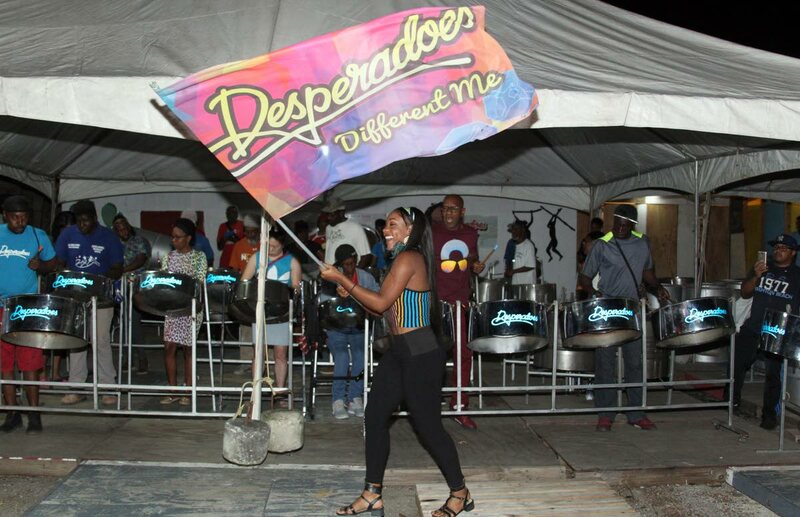 Saying Desperadoes had last practised at its headquarters eight years ago, Glasgow said while Laventille’s die-hard supporters missed the band’s presence in the community, they have still resolved to support it. Commenting on the shift in the management of steel pan, Glasgow expressed confidence in the Beverly Ramsey-Moore-led Pan Trinbago. He said while some players will be despondent, sacrifices will have to be made if the new Pan Trinbago was to achieve its objectives. Ramsey-Moore was expected to address the launch of the 2019 competitions at the BP Renegades Pan Theatre, Charlotte Street, Port of Spain yesterday. Reply to "Love always for Laventille"